Created in one weekend for Global Game Jam 2017, Ravelength challenges you to match audio tracks with dancers’ wavelengths. Check out the pages on the Green, Pink and Red characters for a closer look at the animations I also worked on. To be a successful DJ you need to play music that matches the vibes of the people on the dance floor. 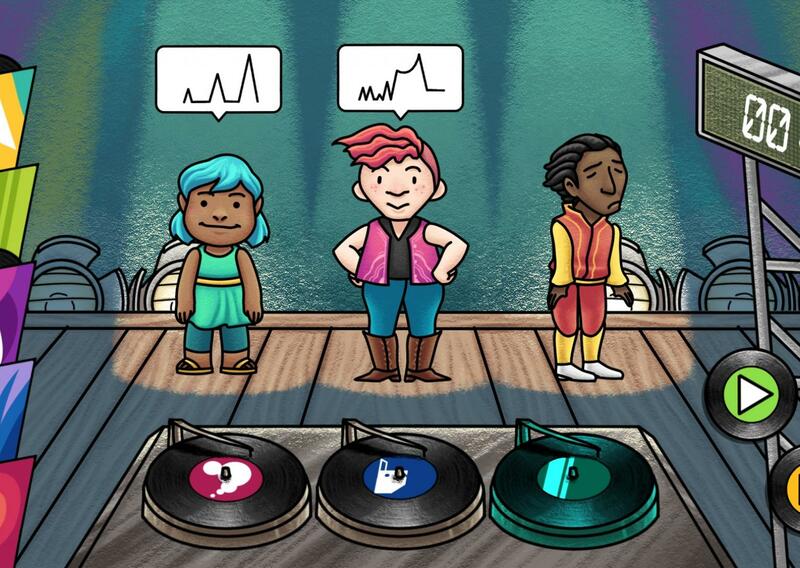 Match the sound of your tracks to the wavelengths of the three dancers. Hover your mouse over a record to listen to the track. Find the track that matches a dancer’s wavelength. 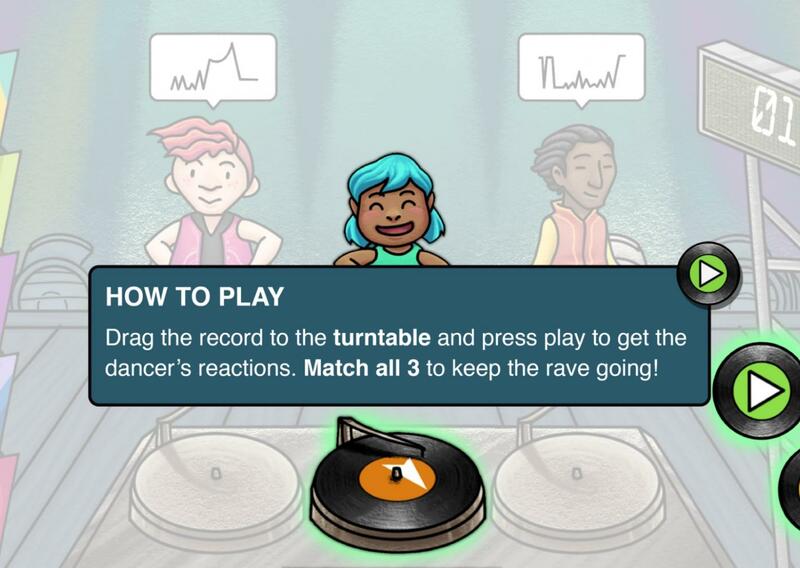 Drag the record to the turntable and press play to get the dancer’s reactions. Match all 3 to keep the rave going!